Sleep is something almost everyone could do with more of, right!? How do you know if you’re sleep deprived? For most people today, sleep is definitely a luxury. Everything is so fast-paced that 24 hours in a day seems too short, and just hearing friends talk about their all-night ers, going to bed at 2:00 a.m. and hitting the gym at 6:00, or the time they worked for 52 hours straight can make you feel like the laziest person on the planet. But studies have been consistent in showing that we ALL (with very few exceptions that are, in scientific terms, freaks of nature) need 7–9 hours of sleep per night. If you don’t have a calculator handy to see whether you’ve been hitting this goal lately, here are the four most common signs that you could do with more sleep. Did you know that your weight gain can be caused by sleep deprivation? In fact, studies show how sleep loss is contributing to obesity. This is true for both children and adults. So if you are wondering where all the weight is coming from, check if you are getting enough sleep daily. Lack of sleep can lead to an increased appetite, with a specific preference for high-calorie, quick-energy foods. The brain is a difficult thing to understand and dissect, but studies have recently shown that sleep allows your brain to dispose of unnecessary waste of neural activity allowing it to function faster when you’re awake. Imagine having a garage full of trash and having to take your car out. It would take a whole lot of effort compared to an organized garage with your car in the middle. Or having a well-organized closet instead of one where you have to rummage through all the clothes just to find your purple scarf. It’s hard to stay focused when you’re not well rested and are sleep deprived. Ever heard of waking up on the wrong side of the bed? Have you ever had those days? They’re often days when you had very little sleep. Eating sweets because you are sleep deprived can also contribute to an increase in your negative mood. You put your body under a lot of stress when you don’t allow your brain (and body) to regenerate during sleep. There is that feeling of stress, anger, sadness, and even mental exhaustion when you sleep less than 7 hours per day. Continuous lack of sleep can increase negative emotions and thoughts, making you unhappy, and can even lead to mental problems in the long run. If you’ve been feeling anxious lately, then try getting enough sleep tonight. You’ll wake up in a better mood. Sleep is one of the most important factors of success and leading a healthy life, and it’s at the same time one of the hardest things to achieve in our fast-paced world, even though it should be a top priority. So don’t feel guilty about going to bed an hour or two earlier. Think of it as an investment in your future health and productivity. If you injured yourself and want to learn how to avoid the most common pitfalls during recovery, download “Secrets To Best Recovery — Practices No One Talks About”. Click here to get the ebook right now! 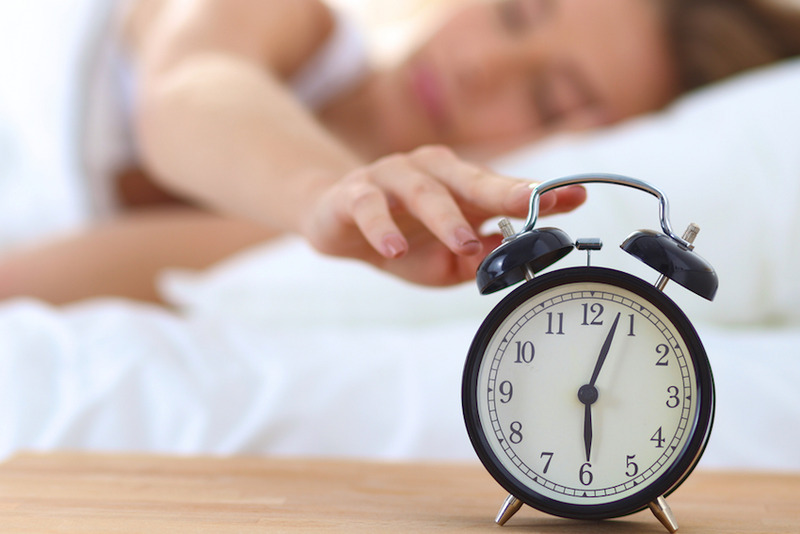 PS: beside sleep and getting too little rest, most people struggle with #6. Download and read here. Epel E, Lapidus R, McEwen B, Brownell K. Stress may add bite to appetite in women: a laboratory study of stress-induced cortisol and eating behavior. Psychoneuroendocrinology. 2001 Jan;26(1):37–49. Cappuccio FP, Taggart FM, Kandala NB, Currie A, Peile E, Stranges S, Miller MA. Meta-analysis of short sleep duration and obesity in children and adults. Sleep. 2008 May;31(5):619–26. Moyer AE, Rodin J, Grilo CM, Cummings N, Larson LM, Rebuffé-Scrive M. Stress-induced cortisol response and fat distribution in women. Obes Res. 1994 May;2(3):255–62. Marniemi J, Kronholm E, Aunola S, Toikka T, Mattlar CE, Koskenvuo M, Rönnemaa T. Visceral fat and psychosocial stress in identical twins discordant for obesity. J Intern Med. 2002 Jan;251(1):35–43. Rosmond R, Dallman MF, Björntorp P. Stress-related cortisol secretion in men: relationships with abdominal obesity and endocrine, metabolic and hemodynamic abnormalities. J Clin Endocrinol Metab. 1998 Jun;83(6):1853–9. Xie L, Kang H, Xu Q, et al. Sleep Drives Metabolite Clearance from the Adult Brain. Science (New York, NY). 2013;342(6156):10.1126/science.1241224. doi:10.1126/science.1241224. Robert Stickgold. Neuroscience: A memory boost while you sleep. Nature 444, 559–560 (30 November 2006) | doi:10.1038/nature05309. Image courtesy of Food Matters. Maya Novak is a passionate Injury Recovery Expert and Mindset Coach with over a decade of experience in health, fitness, and nutrition. Her devotion to helping others and a fracture that should have left her limping for the rest of her life led her to discover her true purpose in life. Maya works with women who struggle with slow progress and are on a roller-coaster of emotions, doubts, and worries. She helps them remove these obstacles so they can regain their physical and emotional wellbeing faster, and get back to their lives and doing the things they love as soon as possible.